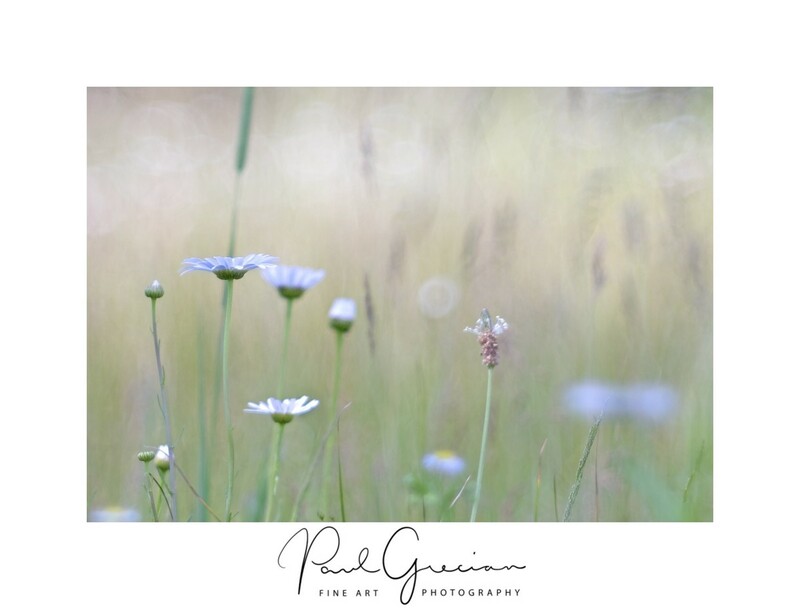 Daisies in meadow. This image was made using an antique lens from the 1950's adapted to a current Fuji camera body. Archival Pigment Giclee limited edition. Matting is done with acid-free mats of an off-white (slightly warm) color. Canvas Giclee pieces are finished on the back and protected from UV-light with a special coating.